... And get multiple songs stuck in your head in the process, but I'm sure no one is complaining, I know I'm not. Belting out Bohemian Rhapsody (and as many of the multiple parts near simultaneously) while stuck in traffic on the 405 has come to be one of my many talents, as it has with most every motorist, musician, and movie-goer alike over the course of generations. With a band as prolific as Queen, and a lead singer as iconic as Freddy Mercury, Bohemian Rhapsody is already poised as one of the highest anticipated movies of the year, and opened on November 2nd. The film surpassed $175 million in not even the first week of opening, and will continue to grow -- similar to Bradley Cooper and Lady Gaga's A Star Is Born, who held similar projections of a $30MM opening then went on to yield a weekend gross of $42.9MM. The film focuses on Queen, their music, and their extraordinary lead singer Freddie Mercury as the band journeys from local pubs to stardom, and their legendary performance at Wembley Stadium during the Live Aid concert. Helming the troupe as the man himself, Mr. Robot's, Rami Malek, is transformed into Mr. Mercury with supporting cast featuring the talents of Ben Hardy (X-Men Apocalypse), Lucy Boynton (Murder on the Orient Express), Joseph Mazzello (Jurassic Park), Aidan Gillen (Game of Thrones), and Mike Meyers (Austin Powers) -- talk about groovy, baby. With a subject as inspiring and unique as Queen, any partnerships surely were feeling slightly under pressure to measure up, and in doing so came out on top. With some brilliant strategies and a crazy little thing called creativity, these brands broke free and brought us some campaigns to remember. 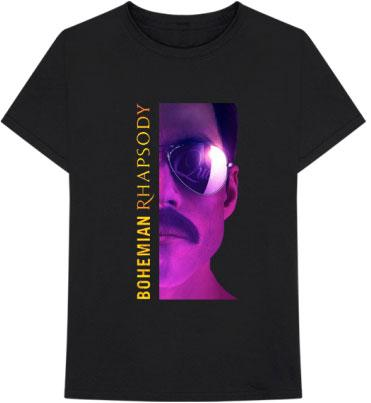 In promotion of the film, Lucky Brand created and introduced an exclusive capsule collection of Queen t-shirts to celebrate the highly anticipated biopic. The collection included custom branded Queen shirts that allowed fans of every generation to carry on the legacy of Queen and Freddie Mercury. The apparel is sold online and in-store, available for a limited time. 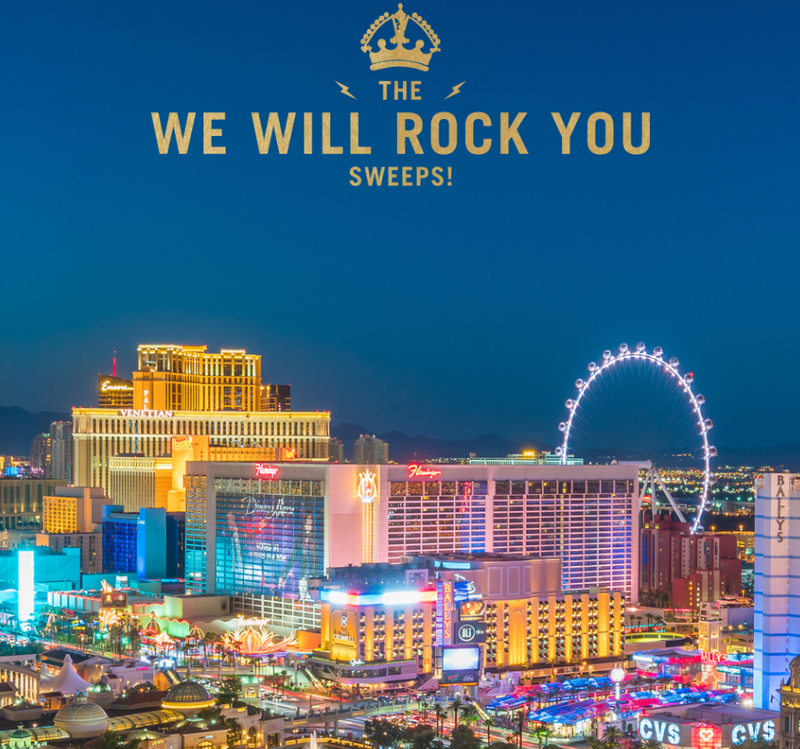 The promotion also included the “We Will Rock You” sweepstakes which, in addition to Lucky Brand, was offered in partnership with Sherman’s Travel, Bright Cellars, Travel Trivia and PureWon. Fans age 21 and older could enter online for the opportunity to win three nights’ hotel accommodations in Las Vegas on the Strip, VIP limo service to and from the airport, exclusive entry to a top Vegas nightclub, a live concert with your 'Somebody to Love' at The Hard Rock Hotel, dinner at a rockin' Vegas restaurant, a private helicopter flight over the Strip, a rockstar makeover at a top Vegas salon, massages 'Under Pressure' for two as well as $500 for Queen tees & jeans from Lucky Brand. Twentieth Century Fox and Bravado joined forces ahead of the theatrical release of the Queen-inspired film biopic to launch an immersive shopping experience and art installation on London’s Carnaby Street. The curated store offered official merchandise and apparel including tees with Queen’s crest logo, a baseball jacket, windbreaker, vintage tour tees in five different designs from the 1975-1984 pharaoh-inspired design, specially designed kids wear which included leather jackets and garments with slogans, gifting and accessories such as mugs, caps, totes, Freddie mustaches, phone cases, socks, drinkware, Christmas items and more. 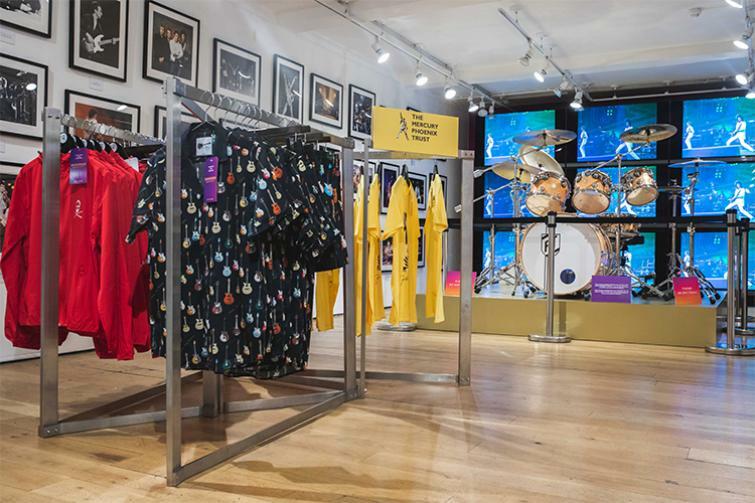 The shop opened on October 18th and will be open to the public at 3 Carnaby Street in London until January 6th, 2019, with a special appearance from Freddie Mercury’s Madame Tussaud’s London figure, and an opportunity for a meet and greet. In addition, famed tattoo artist, Manuela Gray, who was Queen drummer Roger Taylor’s preferred tattooist, offered fans an opportunity to get their own Queen inspired tattoos and was also sold her “Killer Queen” range of merchandise. Hawkins & Brimble is also on site to provide grooming services inspired by the band. The Bramford Watch department also produced a unique Queen edition of the luxury Mayfair watch, which had a black and gold design with the Queen logo on the dial face. To promote the theatrical release of the biopic, 20th Century Fox teamed up with Artistic Nail Design for a look fit for a Queen. 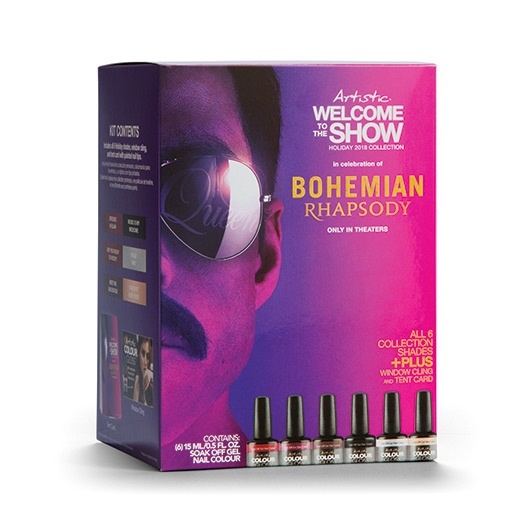 For the promotion, Artistic Nail Design released a Holiday 2018 Collection of Bohemian Rhapsody branded products including polishes, glosses, and dips, and branded packaging. 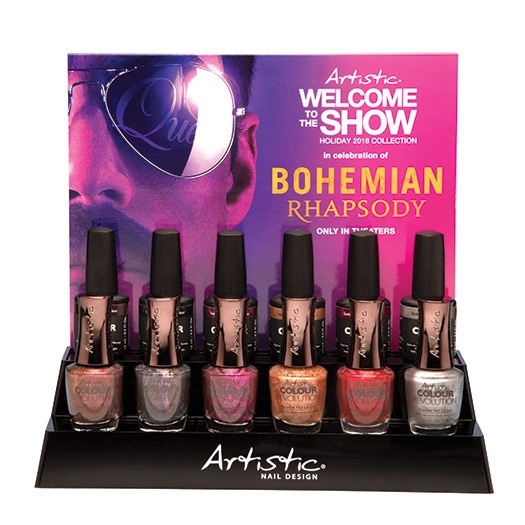 The “Welcome to the Show” collection celebrates the film with aptly named shades such as Are You Ready To Rock?, Meet Me Backstage, Dressed In Glam, Music Is My Medicine, Stage Dive, and Stardust In My Eyes. This collection of polishes, glosses and dips are available online, and wherever Artistic Nail Design products are sold for a limited time. 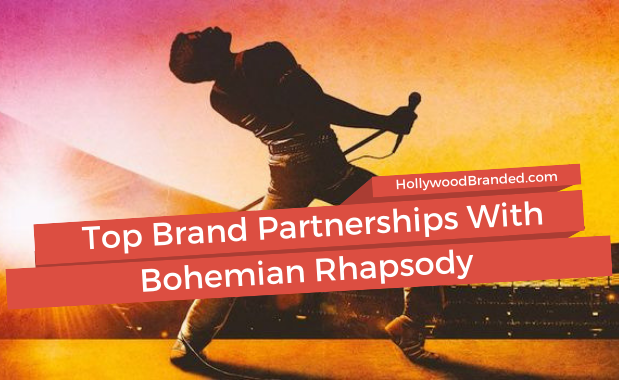 20th Century Fox partnered with FYE to promote the theatrical release of Bohemian Rhapsody. 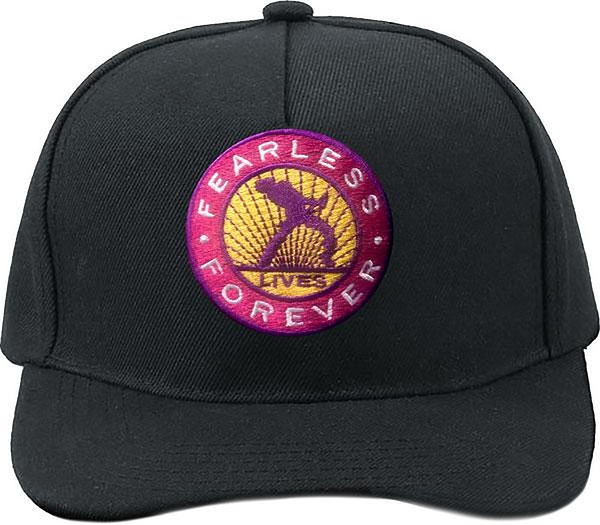 For the promotion FYE offered a retail line of branded content from the film including T-shirts, hats, the film's soundtrack, and more in stores and online. In addition to placement in FYE stores, the partnership continued to a dedicated section on FYE's website featuring Queen merchandise. The partnership was promoted by FYE across their social media as well as with in-store window signage. Thanks to an exclusive partnership between T-Mobile and Twentieth Century Fox, on October 30th un-carrier customers are able to claim a $4 movie ticket through the T-Mobile Tuesdays App, and redeem the ticket through the Atom Tickets App. 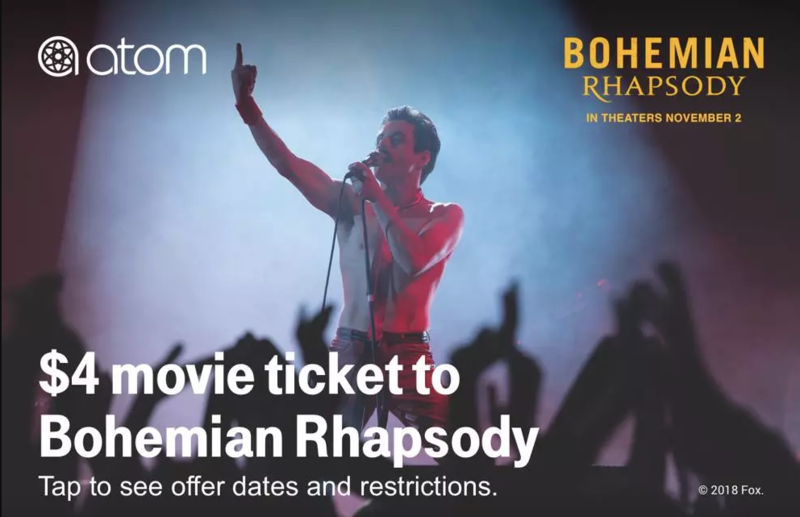 For the fans of the eager beaver nature, on October 23rd, customers could play an exclusive Bohemian Rhapsody trailer game in the T-Mobile Tuesday App for a chance to win free movie tickets for a year from Atom. Want to learn more about product placement and the ways you can increase exposure of your brand through film and television? Download our 101 Product Placement & Promotions E-Book for free!